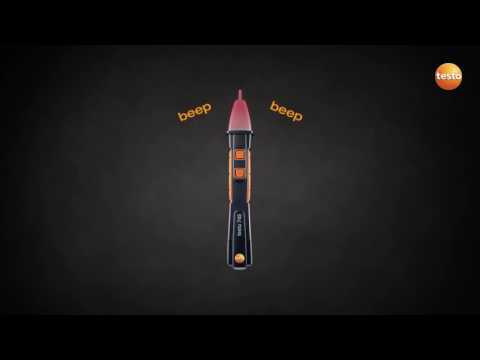 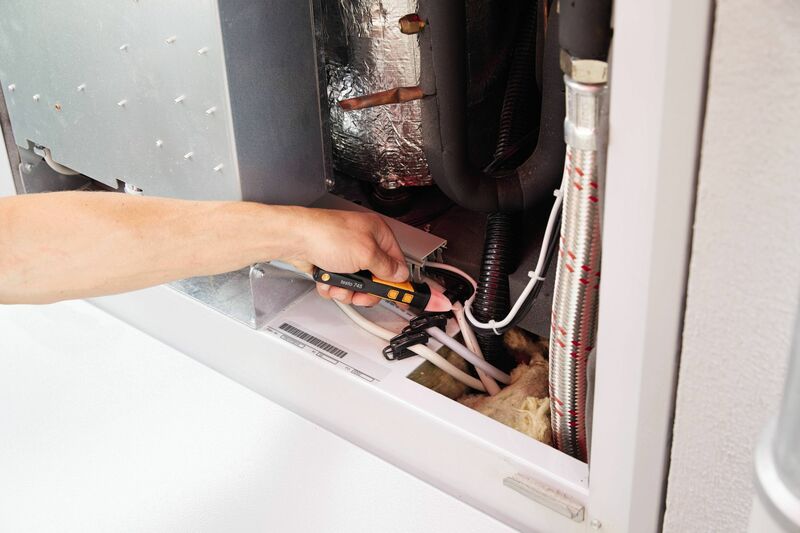 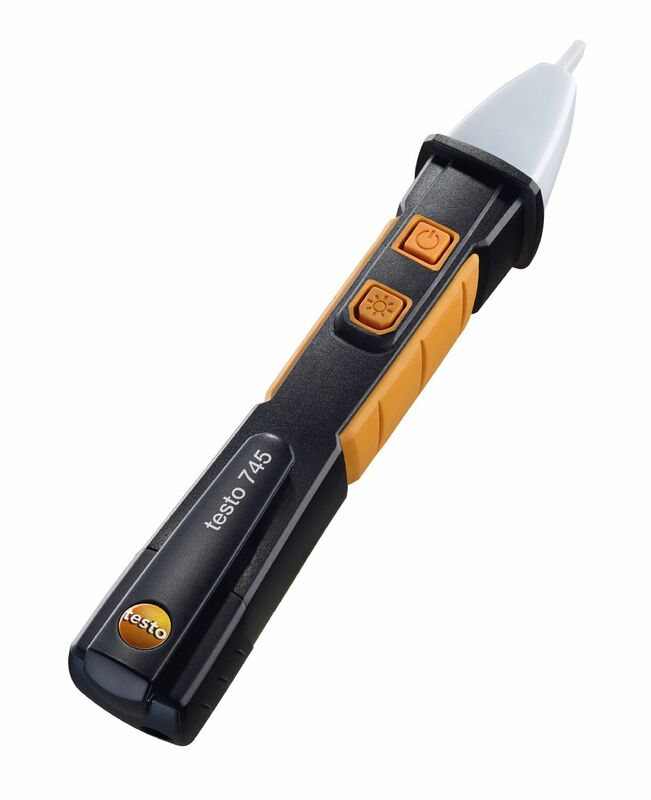 The testo 745 non-contact voltage tester means you can quickly and easily determine voltage or de-energization. 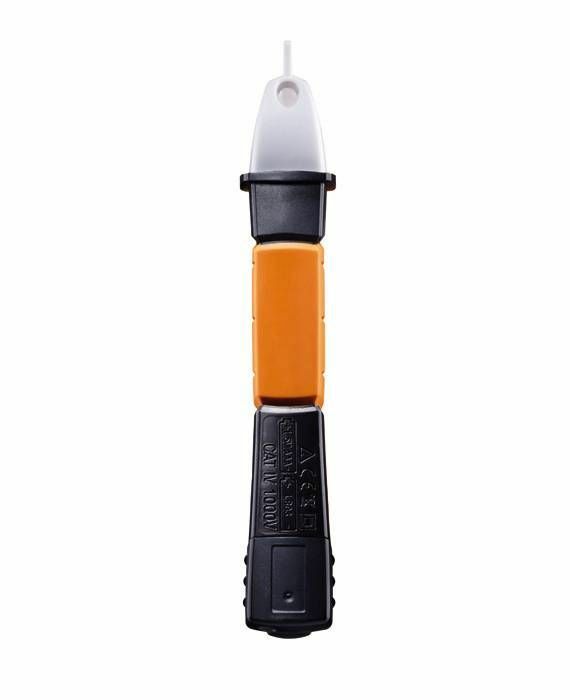 In contrast to most other models on the market, it has a filter for high-frequency interference signals which enables reliable voltage indication. 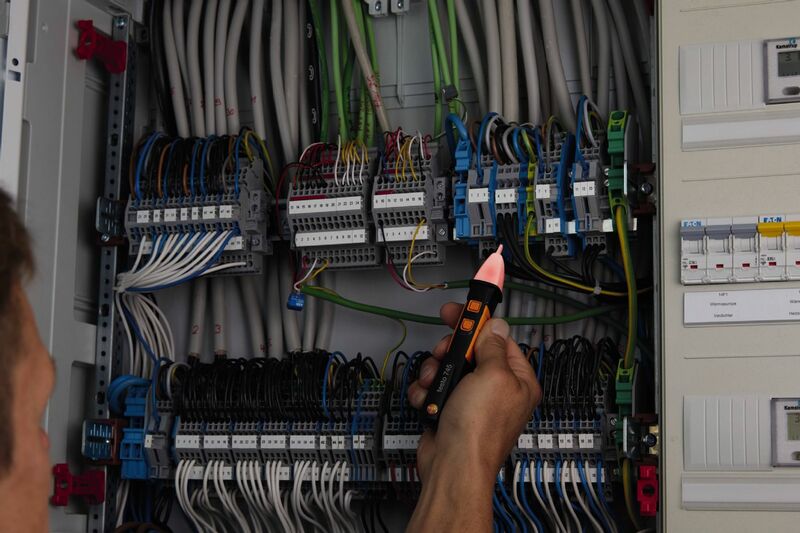 If voltage is determined, the instrument gives a warning via a clear visual and acoustic signal. The sensitivity of the instrument can be set in two stages: stage 1 for phase detection, stage 2 for voltage indication. 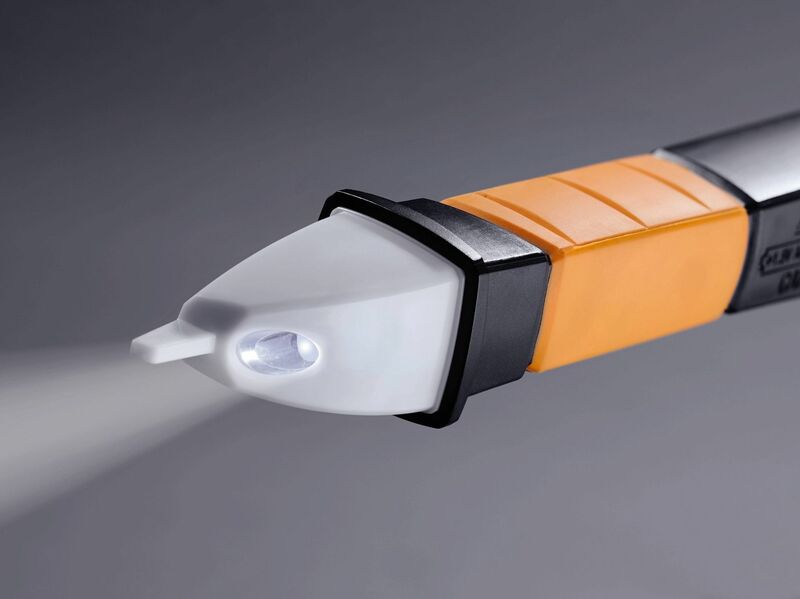 The integrated torch also enables you to work safely in dark surroundings. 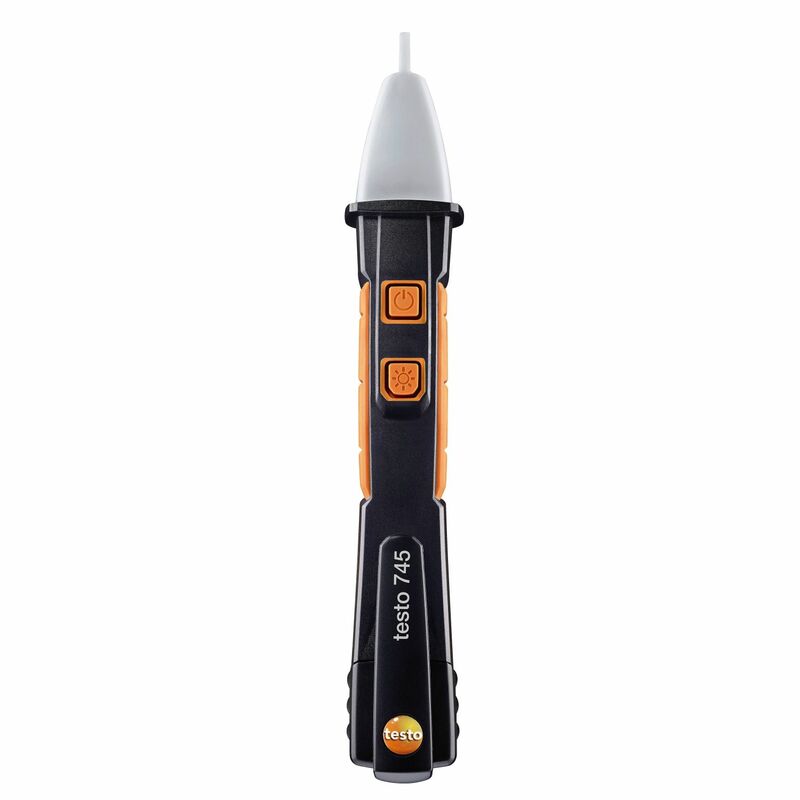 In addition, the testo 745 voltage tester is both waterproof and dustproof according to IP 67.
testo 745 non-contact voltage tester, including batteries, calibration protocol and instruction manual.